The 2014 ESPN sports poll reported that over 87% of parents are worried about their child’s involvement in sports on grounds that they can get injured. My husband and I are not athletes, and I wasn’t injured for 3 seasons of youth softball, perhaps because I spent most of my time on the bench. Similarly, John’s short Little League career proved safe and lackluster. We adopted our children, and despite doing everything we can to develop their in-born physical talents, we lacked personal experience to show us the direction. That’s the reason why, in the beginning, I lacked adequate knowledge concerning the risks of youth sports to be nervous. I expected nothing other than the normal scrapes and bumps that always happen to children during their active childhood. My view began to change when Didi, my 11-year old daughter, got hit in the face with the ball during soccer practice. The trainer, a former Division I player, was not certified in sports medicine, and thus, didn’t do much aside from telling Didi to stop crying. The next day, both of my daughter’s eyes were black. A few days later, we moved to the city, and this gave our children the opportunity to join a well-organized club. But, just two months later, Didi dislocated her shoulder while on physical education class. She had just turned 12, and the injury sidelined her for 5 months. Other than attending physical therapy as advised by the ER doctor, I hired an older soccer player to give her some additional exercises prior to returning to game play. But later on, I noticed that I failed to take the much-needed steps that would help Didi rebuild her general fitness. Upon being ready to restart her practice, Didi was rusty and her coach was unhappy. Recently, I spoke with Craig Bennett, president of the Washington Athletic Trainers Association and director of sports medicine at the University of Puget Sound in Tacoma, Washington. He said to me that serious college programs are the only difference between youths and collegiate athletics. 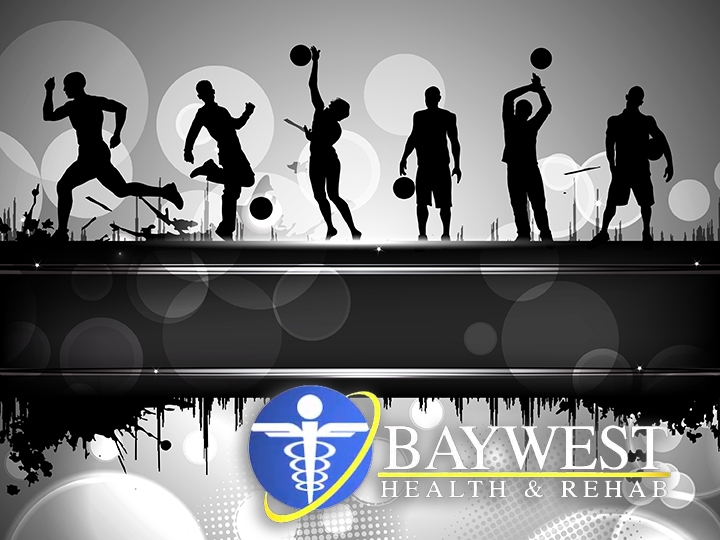 These programs give players a knowledgeable and dedicated sports medicine staff. In youth sports, parents have the job to identify qualified health care providers who have the expertise to handle sports injuries and nurture child development. According to Sharon Van Epps, it’s complicated to deal with youth sports’ injuries, and unless a pediatrician is not perfect, they would have no training in sports medicine at all. Bennett recommends a health care professional with adequate knowledge about a plan to return to play. According to him, re-strengthening must be in your plans if you heal and you’re planning to return to play, because this would help prevent re-injury. That’s exactly what happened. Didi’s club moved her to the team B for her age group at the end of that painful season. To everyone’s surprise, she handled the whole situation with grace and played hard; something that made her be re-invited after just 2 months to start training with team A. But things didn’t go well for Didi; she tore an ACL while fighting for the ball during her first practice with her old teammates. This happened before she could turn 13. The anguish I felt when I watched my daughter suffer another injury, particularly one so serious, was beyond words. But this time round, I tried to find the best doctor; a surgeon with immense experience in repairing ACLs for teenage girls and NFL players. The doctor’s plan for my daughter’s return to play comprised of personal training, physical therapy, and a conservative 9 months to recover. During the struggle, Didi became mature and positive, and these made her stronger than before. The athletic training and physical therapy addressed both her post surgical weakness and the individual quirks of her physiology (which had predisposed her to injury) like overly flexible joints. Today, I have no worries about Didi tearing an ACL again or sustaining another shoulder injury. Accidents will undoubtedly continue to occur, just like this summer when she broke her finger. Nevertheless, I will worry no more because I’ve educated myself and done everything I can to make sure she’s safe. I’ve learned to accept that all coaches including the good ones are imperfect. In fact, you may be surprised when you realize that a good number of them are not qualified to asses a child’s injury. Doctors are also not perfect. Dr. Steven Anderson, founder of Seattle Pediatric Sports Medicine (an organization of medical professionals dedicated to research, collaboration, and education in pediatric sports medicine) recommends a more specialized care immediately after injury because it can help prevent unending complications. Anderson and his colleagues are currently working to grow the website of the organization as an educational resource for doctors, parents, and coaches who might be unfortunate not to have access to the latest information. I feel privileged to have him (Dr. Anderson) on my family’s “treatment team”. He helped Didi after surgery and now he trains all of my 3 kids to stave off injury. The extra work makes the kids to grumble a little, but just yesterday, the certified athletic trainer warned my son and me to keep checking his foot for a possible stress fracture. According to me, the cost of her sessions is an investment. People wonder why I can’t pull my children out of sports, especially after all they have undergone, but I have one simple answer for them; my kids are athletes and asking them to leave the competitions would be like telling them to change who they are. Therefore, I’m trying the best I can to be the mother they dream of, and I’m getting to know that a huge part of that is to teach them on how to recover from injury.